One of my submissions for Further Confusion 2012's conbook. 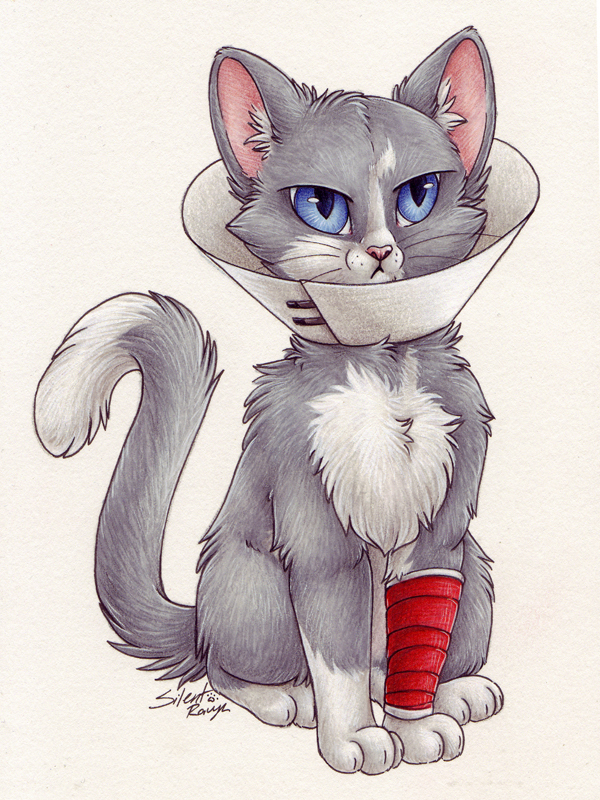 The medical theme got me thinking of veterinarians, and from there I couldn't help thinking of poor animals wearing the cone of shame! I did two pieces, considering how different pets might think of the humiliating object. Opposite of the puppy, this cat looks like he's plotting murder on his owner. "You will pay for this indecency!" He and his partner piece will be in the FC2012 art show, and this time I'll actually be attending! Oh that feeling... For some reason this keeps coming up in searches; gets me every single time. Oh that feeling... For some reason this keeps coming up in searches; gets me ‌every single time.